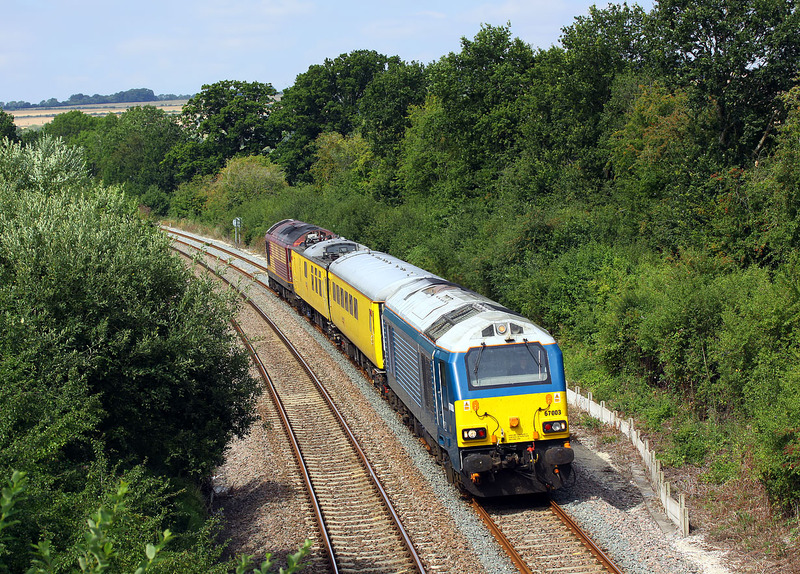 Arriva blue liveried 67003 leads the 1Q15 09:10 Derby RTC to Derby RTC (via Oxford) Network Rail test train past Shorthampton on 12 August 2015. The rear loco is 67016. This location was cleared of all vegetation for the redoubling of the Cotswold Line in 2011, but with no lineside maintenance having taken place since, it has almost returned to its former overgrown state.